A modern fitness club with state of the art equipment deserves to have an equally impressive website and that’s exactly what Evans Fitness Club has. With a website, Evans Fitness Club can showcase its 50,000 square foot facility on the web together with its high tech exercise equipment which are difficult to find in other facilities within the area. 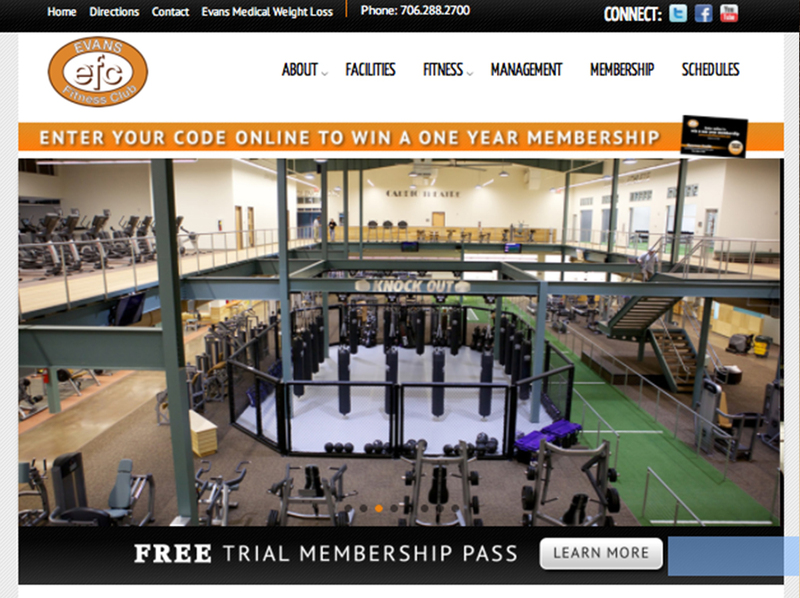 The website contains all information regarding the fitness facility complete with contact numbers and emails, hours of operation and the management that keeps the place running. Various fitness programs can also be accessed through the site like yoga, Pilates, bootcamps and group exercises with their corresponding schedules. For interested parties, they can ask assistance through the site from members of the customer service team or the sales team. Contact information is available on the website. iPad kiosks are the latest additions to the facility that could very well facilitate training and efficiency at Evans Fitness Club. Through these iPad kiosks, members can view their schedules as well as the programs the club offers. Training will be smooth-sailing and a lot more manageable with their help. With an updated training facility, effective training programs, helpful and accommodating coaches plus a website from our web design team, Evans Fitness Club easily becomes the benchmark all other fitness centers tries to measure up to. Next PostNext Is Search Engine Optimization foreign to you?